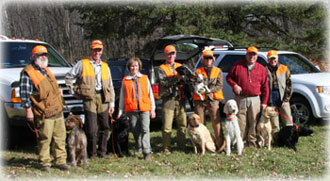 You’re just a couple of steps away from becoming a member of one of the most active and vital hunting retriever clubs in Minnesota. Simply download, fill out and print off the membership application and return it with a check for your annual dues to the address on the form. Note that this is an active form document so you can click on the open fields and type in your information. If you have any questions, please contact doublestandard2@msn.com or DPhelps006@aol.com.